Let’s be honest I never thought I’d like Brussels as much as I did. It was historical, political, culinary all within small radius and unlike my own country: hilly. Don’t expect mountains but there is quite some height difference in the city. Steps and elevators take you up to see all over the city. 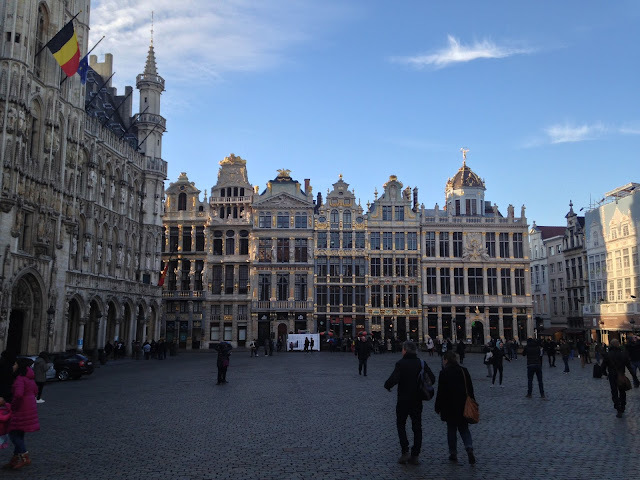 I visited because my boyfriend is doing his graduation internship at a company in Brussels. 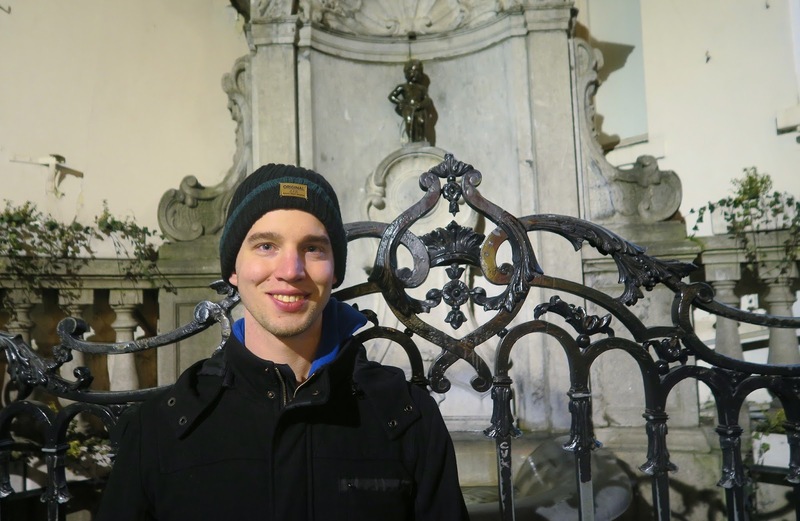 If it weren’t for him, I wouldn’t have picked Brussels as a city trip destination but from my impression, there is a lot to see in this diverse capital of Europe! 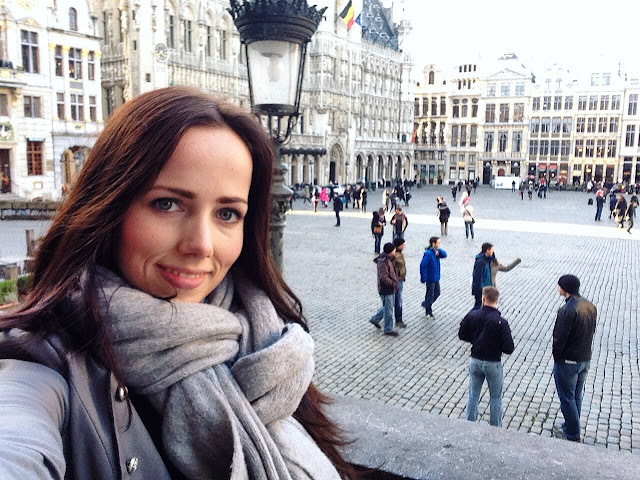 Because of that I want to share my tips and experience with you in this travel guide. As soon as I stepped off the bus, the sun came out welcoming me. It was especially nice as it had been raining the entire morning. My boyfriend was still at work but I didn’t wanna wait for him at home because of the good weather. After his roommate let me in the apartment I packed a small tote bag and I (overly enthusiastic me) decided to leave my warm winter coat at his home. I went out wearing my blazer and scarf. Not too smart because the next morning I woke up with a sore throat and a bad cold. Lesson learned! 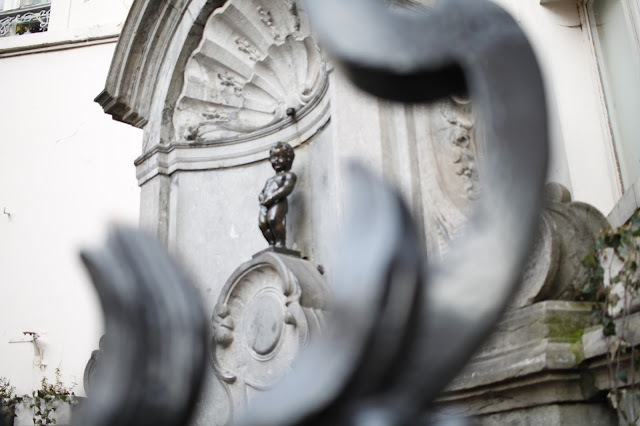 Manneken Pis is so tiny! 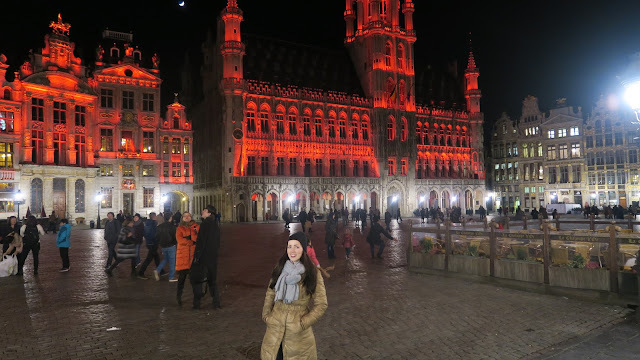 I had about 2 hours to spend so I walked through the historical city centre and saw Grand Place, a lot of chocolate shops and even more tourists eating authentic frites at Manneken Pis. Not much later I walked back home and Daniel surprised me because he was walking right behind me thinking that the woman in front of him looked an awful lot like his own girlfriend, haha! I was super happy seeing him again and after we made ourselves a nice Italian dinner we went for an evening stroll where I snapped this cute picture of him with Manneken Pis :). I stayed with my boyfriend and therefore I don’t have any recommendations on where to stay. I would highly suggest to hop on a metro and travel from North to South and West to East because the Atomium (which I haven’t visited this time), European Quarter and city centre are all scattered over the city. 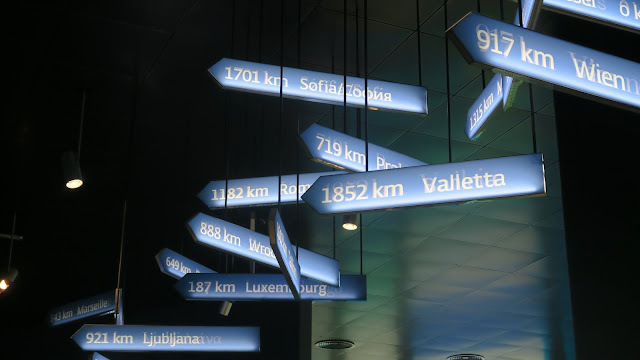 A lot has been written in those typical tourist books on what to see. I sortof give my own spin on that here. Start with the old town. Even though it’s small, there is lots to discover. The narrow alleys feel very cozy and all the attractions are withing walking distance from each other. Don’t where heels but opt for sneakers because there are cobble stones e-ve-ry-where. Keep an eye out for little chocolate shops, beautiful antique stores and mindfully planted larger than life cartoon characters painted on buildings. On our first night we went for an evening walk climb. It was a good ten minute walk up the stairs. 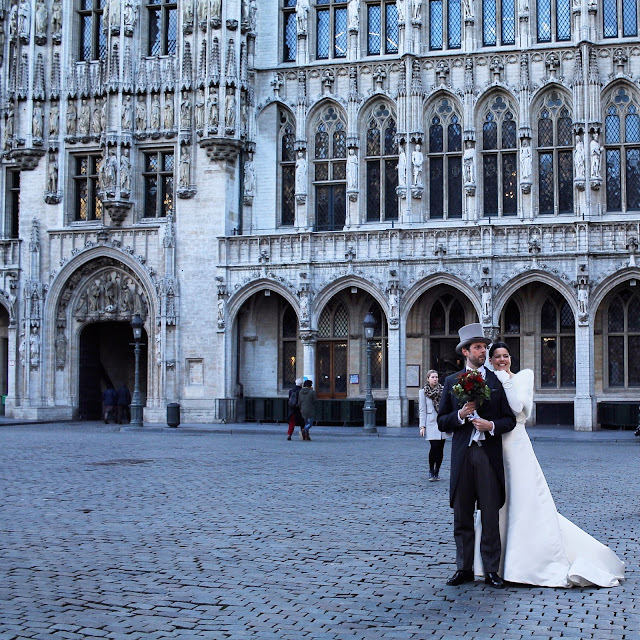 I wasn't allowed to look behind me so eyes on the road until we had arrived at the stairs next to the Royal Library of Belgium. 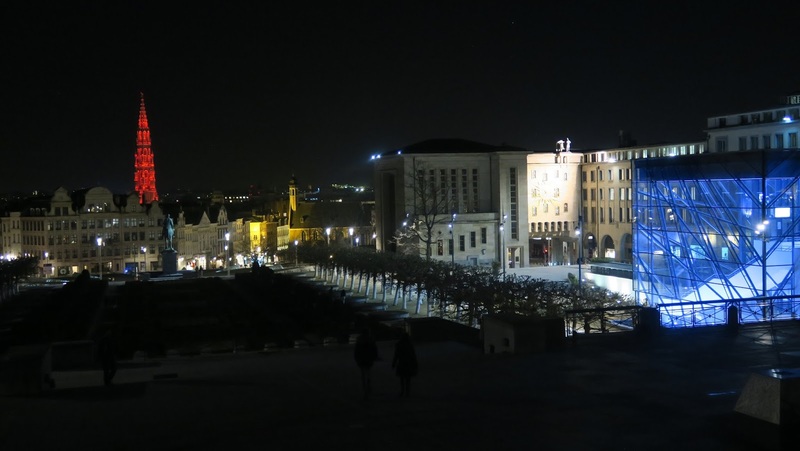 I believe you stand on top of the Mont des Arts when you arrive at the top. 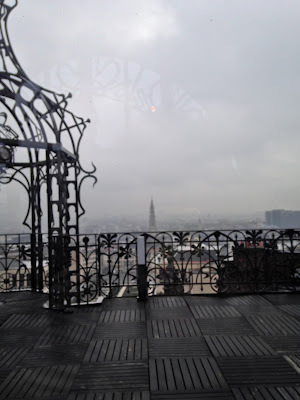 The panoramic view over Brussels was so pretty from there! I don't know why and when but the City Hall at Grand Place was hued in red lights. 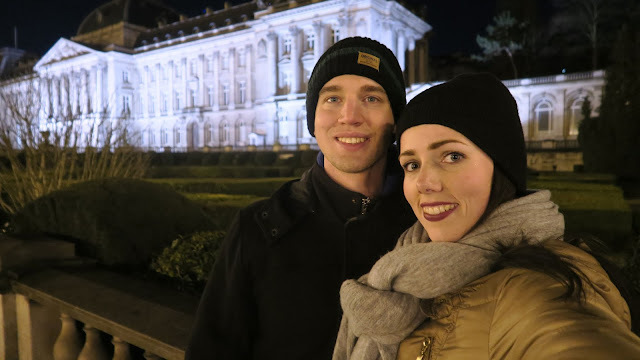 We then walked to the Royal Palace and ended at the Grand Place after which we bought chocolates and headed home to watch a new episode of Arrow. 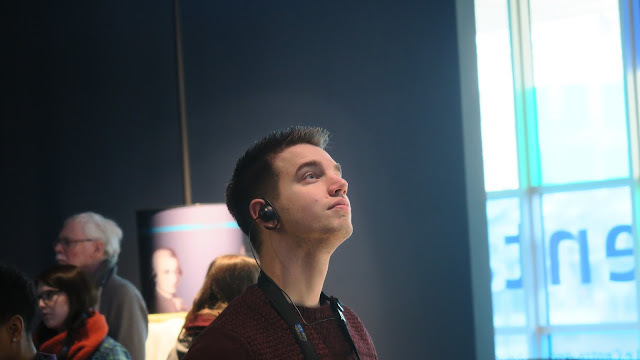 On Saturday my boyfriend took me to a museum (there’s a first time for everything) which was a great rainy day to be indoors. This is a super fun museum even when you’re just not that into politics. They had pictures of every major historical event and photos of Brigitte Bardot and ABBA so it's really quite ehh versatile, haha. And there were a lot of activities so you wouldn’t just be looking at stuff which personally bores me. We spent a good 2 hours in here before heading off for typical Belgium lunch. More on that in a bit. Oh one more thing: the admission is free of charge! How many places have you visited? 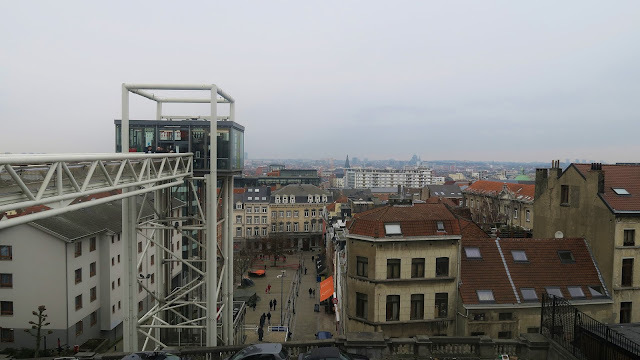 To have another amazing view over Brussels, go to square Breughel L’ancien and take the glass elevator up. When you get out, you have also reached the Palace of Justice which is yet another impressive building. So before I went to Brussels I talked to someone who had been there before and couldn't find the shopping streets so I was kinda 'scared' Brussels wouldn't have that many good shops. But I guess that was totally unnecessary because there is actually a large amount of stores including a shopping centre called the City. You have City I and City II which is completely indoors and houses all kinds of brands. 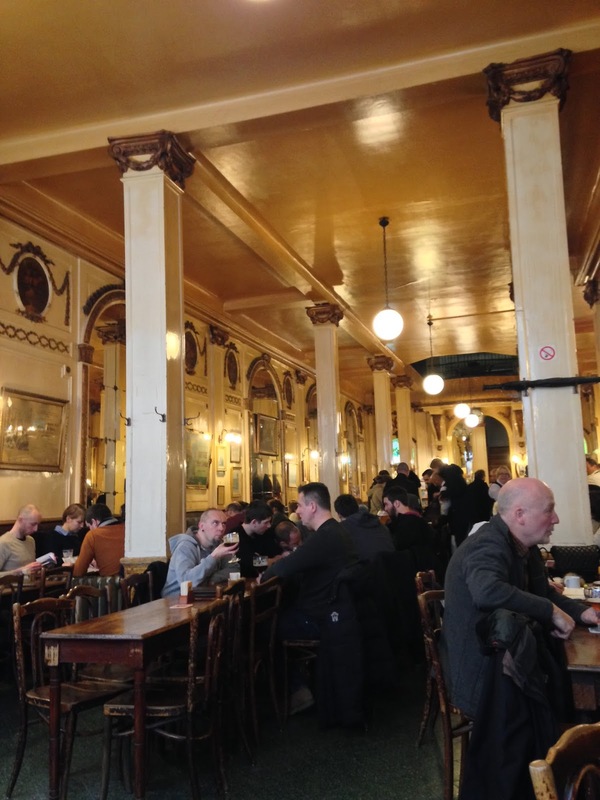 When you're in the area around Rue Neuve you know you're in the right place. Clothing brand WE also has an amazing store which is quite big and has a sports department which I had never seen before. 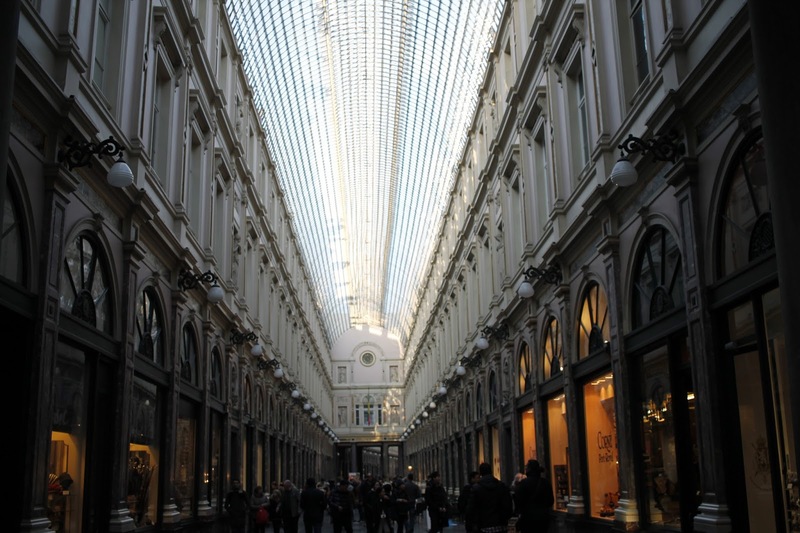 And for all you bookworms out there, don’t miss Waterstones, These shopping streets aren't far away from the Grand Place. Be ready because the what to eat section was purposely placed at the end because I have a lot to say about that, haha! So my boyfriend and I both really like tea. He found out about this store after searching for a good place for tea online. 8tea5 has a mission statement that says: 'showing the world the endless possibilities of tea'. 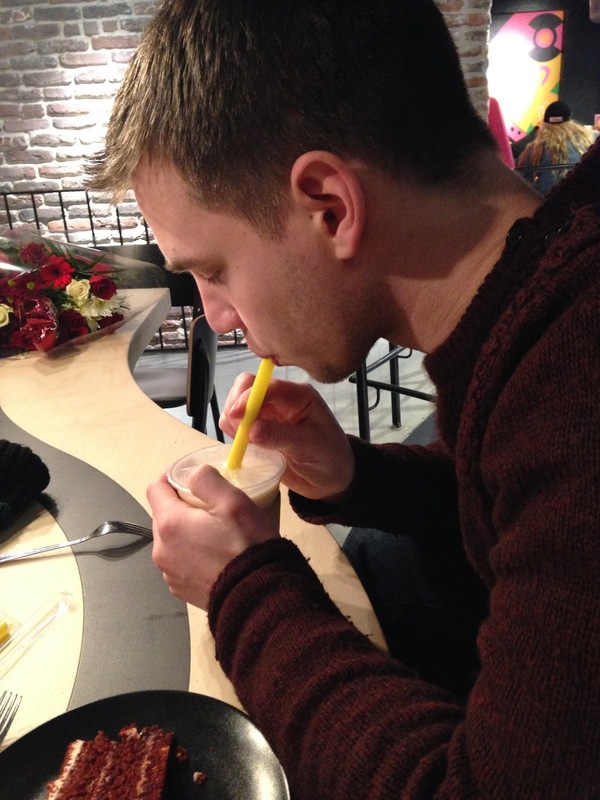 While I love that, I would probably advise you to skip the bubble tea at this place, or anywhere. We're not a big fan of that. 8tea5 did have lots of choice but it's all a bit different than what one might think upon hearing there are many different kinds of tea in this store. I prefer natural teas from different herbs, spices and plants. The red velvet cake however, was delicious!! Go here for a trés grandes selection of beers. So cool! We both tried different ones and they were great. Would definitely like to come back here next time! Also, they're really generous with the cheese, haha! 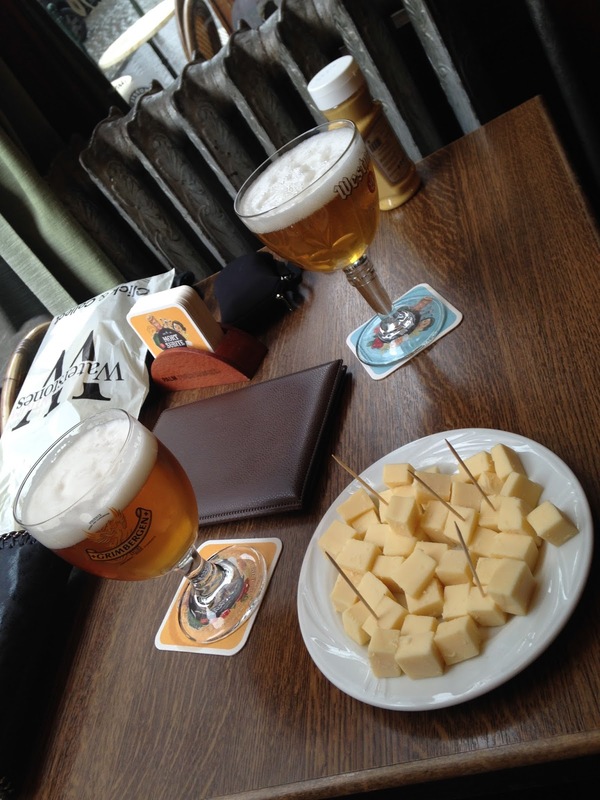 We also had beers and cheese in a different place. 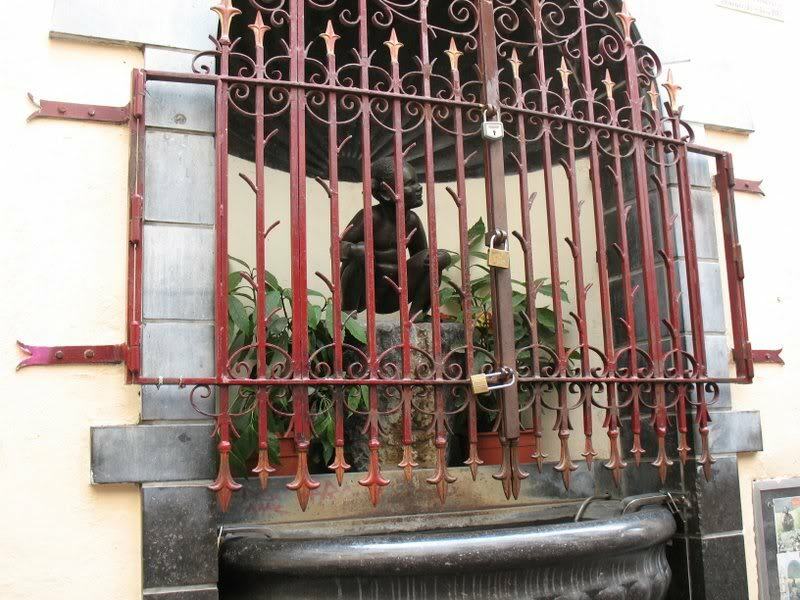 La Brouette restaurant is situated at the Grand Place. Here we also ordered two beers (one was with a strong cherry flavour) and a (smaller) cheese platter. We sat next to a fire which was nice warm and cozy. 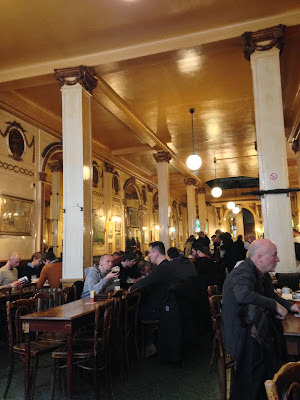 Gotta love these Brussels bites. "Please take the picture already. 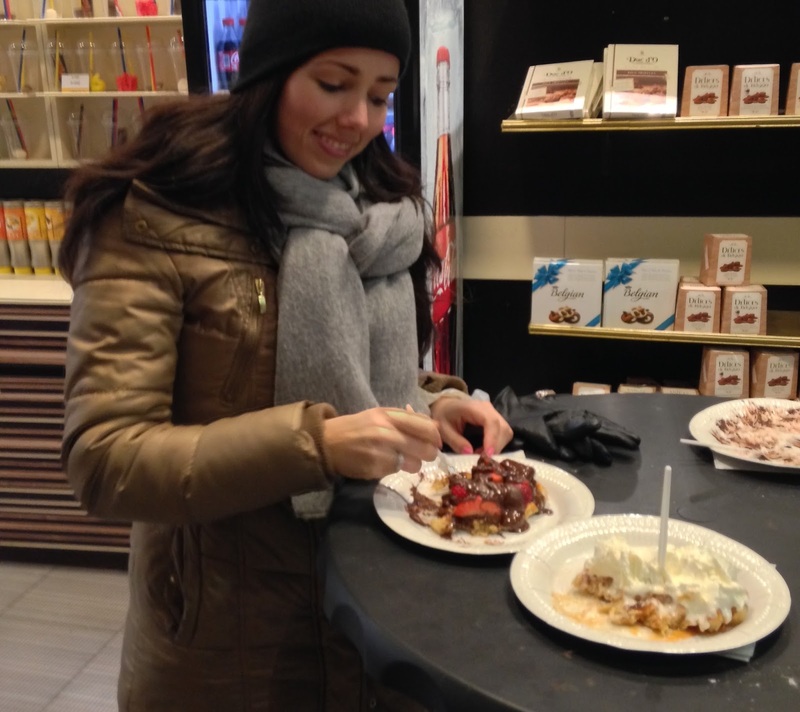 So hard not to attack this waffle!" You can get your hands on waffles literally every ten to twenty meters. There are so many different places that make waffles. We just went with one because we had no idea where the best waffles were being made! We were very happy with our choice. 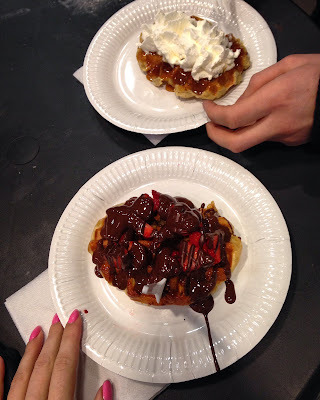 I had a waffle with strawberries and dark chocolate, Daniel went for a caramel/whipped cream waffle. 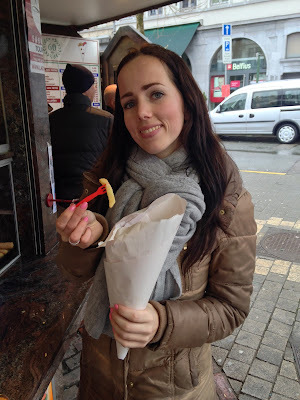 For the best frites in town we took quite the detour! This was our lunch on Saturday when we were already kinda close to Maison Antoine. 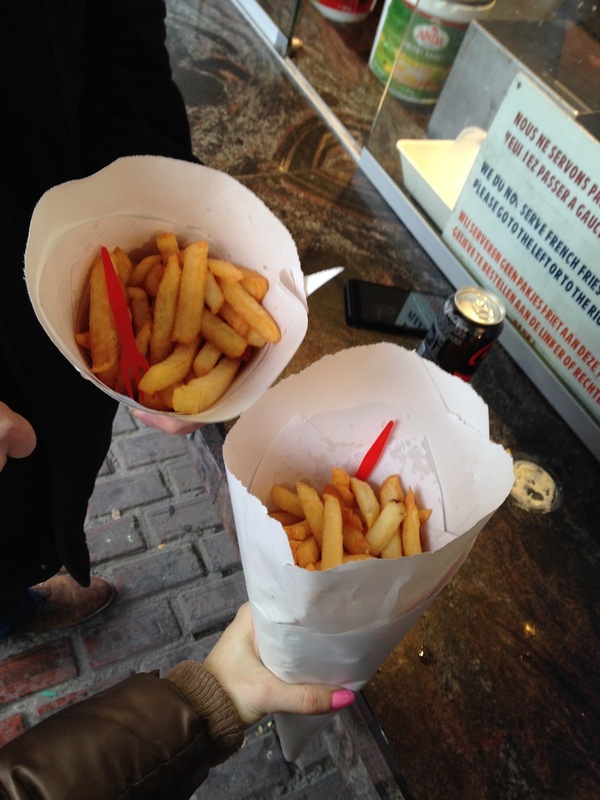 It was really busy, it was obvious many people wanted to try the fries at this 'frietkot'. We chose chili sauce and mayonaise. Fun fact: Frites are welcome at all the surrounding cafés and terraces. They all have a message along these lines written on their sign boards to welcome visitors. Don’t mind the grumpy waiter in this café just look at the view instead! Also the elevator stops when its sensors sense you're about to touch the floor you're on through its open (!) walls. So keep that in mind and keep all your limbs close to you! 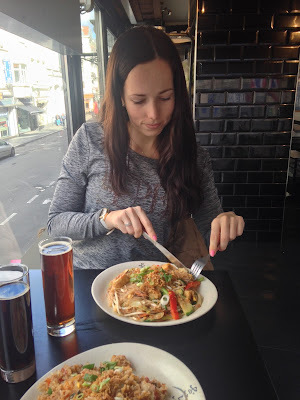 Les plats traditionnels Thailandais de Bruxelles! This thai/vietnamese restaurant is a great place for vegetarians! We went here for lunch. Big plates with delicious food. I had Fried Sukiyaki Vermicelli with Vegetables and Tofu. And lastly but not least, do not forget to try some chocolate. 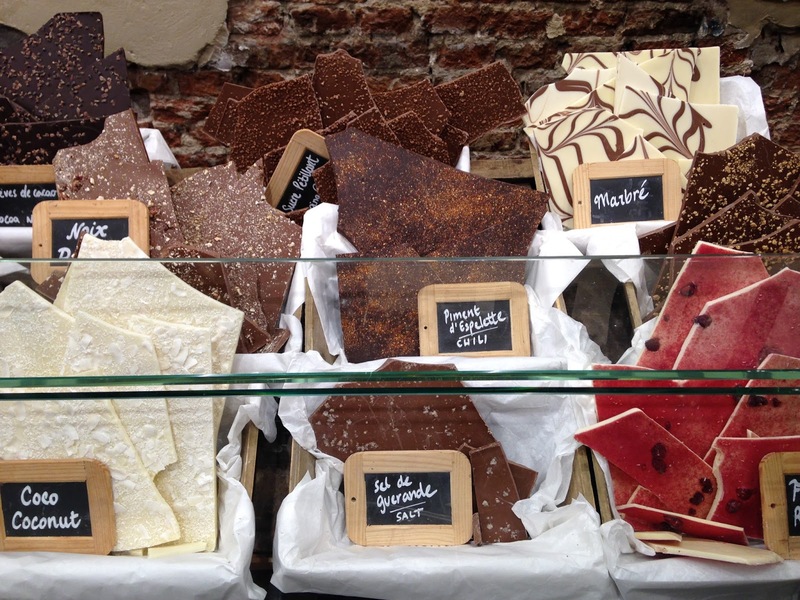 We went to Comptoire de Mathilde and la Belgique Gourmande where we got ourselves some really nice chocolates. But there are a lot of different stores so go ahead and see which one you like! That's all for now. 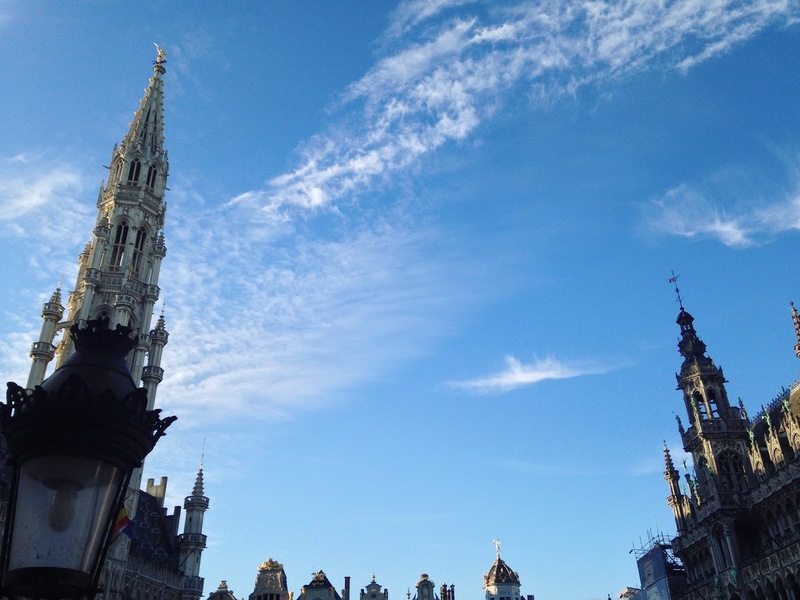 But be on the look out for Brussels Travel Guide part 2 as I plan on going back somewhere in April. Have you ever visited Brussels? Share your tips and tricks with me in the comments down below. 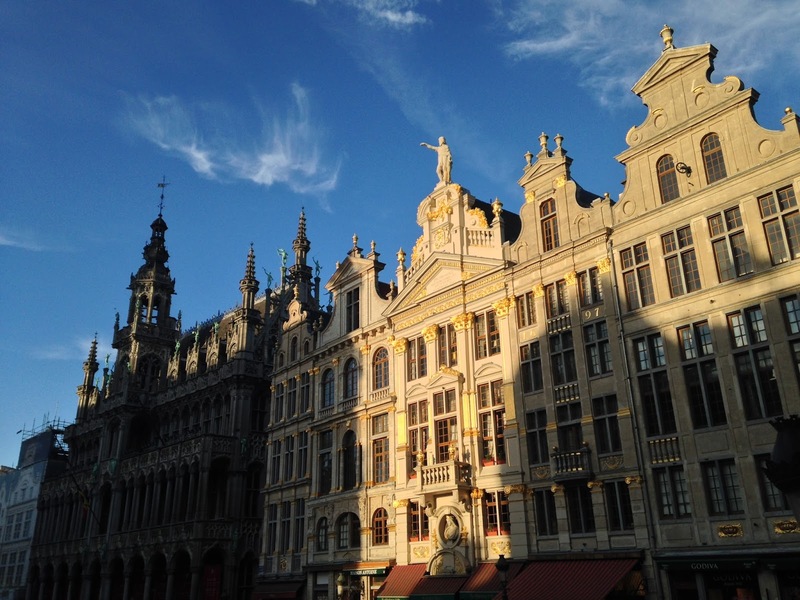 Nice guide, Brussels is very beautiful city, but the municipal transport in it is very expensive. 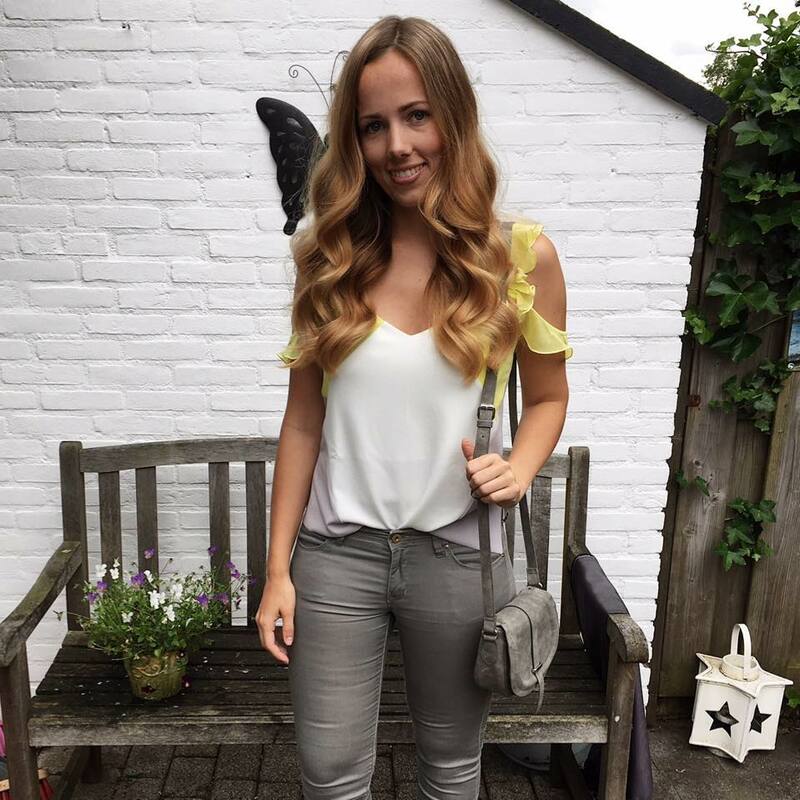 When you need to get around the Brussels fast and you're not alone with your family or friends, the best solution will be Kiwitaxi http://kiwitaxi.com/Belgium/Brussels this online taxi service will help you to save your time and money. Try t and I'm sure you'll like it. © Truly Mar | All rights reserved.